Mario Lopez in Houston this Saturday! 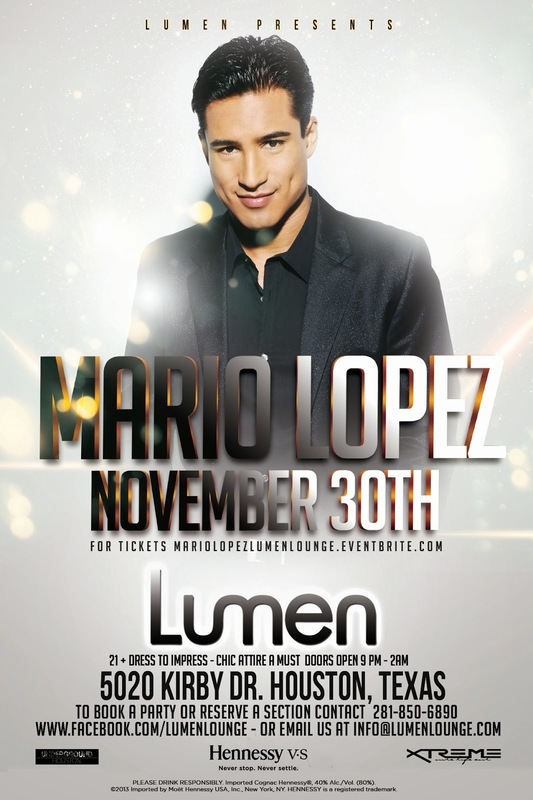 The upscale Lumen Lounge in Houston, TX! and bottle service is strongly recommended.